66th feat high and rising on the all-time scoring list, passing Dolph Schayes. Becoming only the ninth player in NBA history to record 2,000 career three pointers with that lethal Euro step back from downtown Houston, that is as unstoppable as Kareem’s sky-hook. To go with his 48th Westbrook and Oscar like triple double of the season with 50 points, 11 rebounds and 10 assists for his 28th consecutive game with a run of 30 or more points (which he almost topped in the first quarter with 28), to lead his Rockets 119-108 over the surging Sacramento Kings for a big game crowning. All just in a days work for James Harden. Cooking up more, it won’t be long before this man with Goliath, Big Dipper wilting numbers will have the goggles of Robertson’s Buck teammate Kareem Abdul-Jabbar’s leading all-time scoring record in his shooting sights. 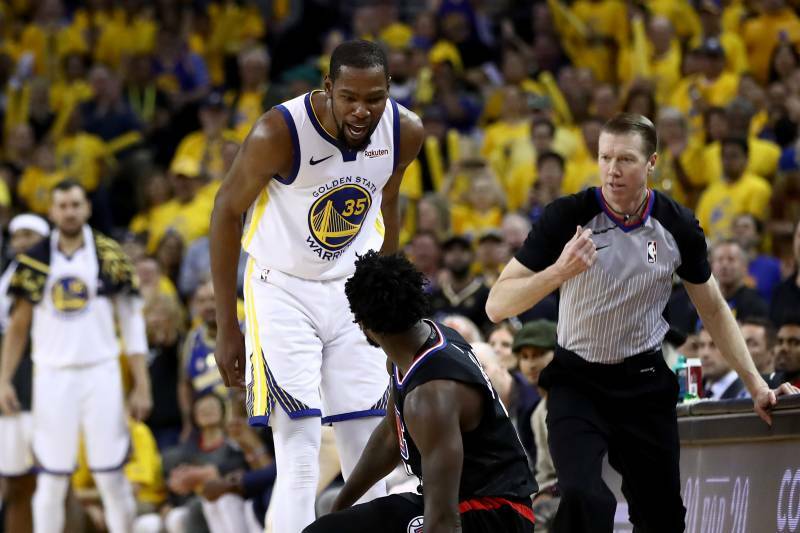 King James may be officially done for the season in more ways than one, but this worthy big game, new King James, shutting down everyone from former teammates to reigning champions, Russell Westbrook of the Oklahoma City Thunder and Kevin Durant of the dynasty Golden State Warriors until he sees the throne in this game isn’t. And why fear the deer in Milwaukee Bucks MVP Giannis Antetokounmpo when the real one is here? You should fear the beard by the hairs on his chinny, chin chin. Houston at home, despite these video game numbers still gave the Kings plenty of problems like LeBron in Hollywood. Despite one of the league’s best young teams on the process having a balanced attack from their castle. Young guns and princes like Bogdan Bogdanovic (24 points), Buddy Hield (21), Marvin Bagley (20 and 12. That’s a 20 and 10 big-man right there) and DeAron Fox with 18, 10 and 7 with this team in the hole never lay on their swords or said die. Even if in the end of this NBA Saturdays epic (third straight live Saturday night of this writer watching Basketball in bed or the bath. Don’t tell me I don’t know how to live) Sacto couldn’t avoid elimination like their California coast rivals the Lakers. And that’s because Houston had more Rockets than NASA behind their Apollo 13 Harden. If it wasn’t for the big game of James your player of the game would have been the big Clint Capela, with an even bigger night of 24 big dunking points and 15 rebounds. Getting it on with Marvin and bagging him up as he showed us 20 and 10 is old, last generation points in the paint print news. Although most of C.C.’s dunking deliveries didn’t come acapella, but in the form of special alley assists from you know who. Fellow point guard Chris Paul also had 22 and Sixth Man back up Eric Gordon had 17 off the pine time for the Rockets fuel. 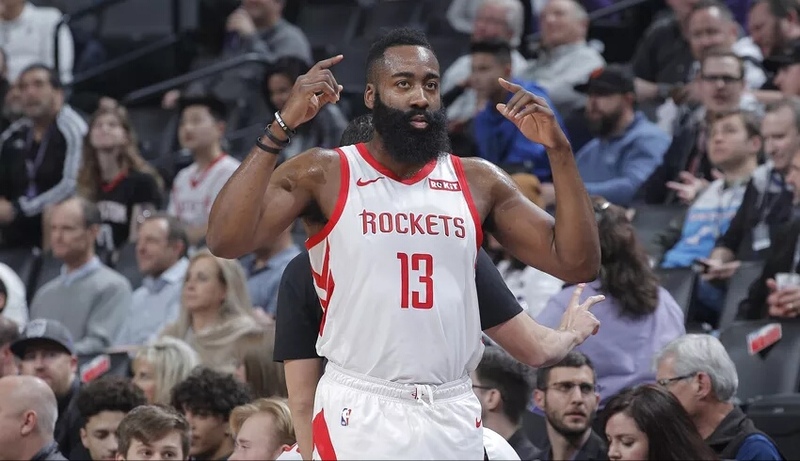 But with his 18th 50 point game which was also the mark of his 50th career triple double, last night was all about Harden. And if you think that’s selfish, look at how many assists came in that triple double. On the Wilt stilt of his own Chamberlain court with a go to, legendary NBA move that can’t be stopped and is all his own like the hook of Kareem, this big James is reaching for the hoop heavens sky. And you should watch before it all comes down and returns to earth. But Rockets never do Houston.